Once combined with sleek ponytails, the messy braids we rocked all summer evolve into the perfect fall/winter do’. A high-low ponytail is a fun, contemporary spin on a traditional ponytail. The 3-strand braid can be swapped for any of your favorite braids. Fishtails, infinity braids or even a rope braid to name a few. 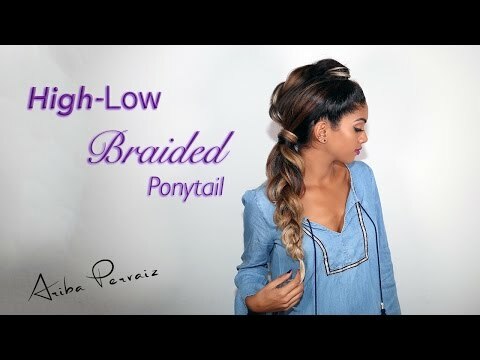 I chose to go with a traditional 3 strand braid for this tutorial because I find it to be one of the most voluminous braids. To add more length to this style, I am wearing my Bellami Hair Extensions. This is completely optional and you can certainly rock this do with or without the clip ins! Hair Extensions – Bellami Hair Extensions. Don’t forget to use code “ ARIBAXO “ for $$ off all Bellami Hair purchases.